Sheltie Planet is your complete guide to Shetland Sheepdogs. Advice, pictures, stories, reviews and forums: it's the best place on the net for all things Sheltie. Welcome! We are Rebecca and Pete, a pair of Sheltie lovers in New Zealand. The video shows our boys Howard and Piper frolicking in slow motion. They're now 10 years old, and over the years we've learned lots about Shelties from first-hand experiences, research, breeders and other Sheltie owners. This website is the result of everything we know and love about Shelties. We hope you enjoy Sheltie Planet and take a moment to support our work. Download our 140-page Sheltie Anthology and joining our Facebook page. Remember to bookmark us and come back for more cuteness! Shelties are a small to medium dogs. Though there's some variation in size due to slightly different American or English types, the typical Sheltie stands 13-16 inches (33-41cm) at the shoulder and weighs 15-25 pounds (7-11kg). Shelties are not miniature Collies. They're a distinct dog breed with different lineages. Originally a Scandinavian Spitz type breed, there were early crosses with Rough Collies, Border Collies, Greenland Yakki (now extinct) and Pomeranians. Shelties are long-haired, double-coated dogs. Brushing and trimming is an essential part of your pet care routine, requiring deep grooming weekly or fortnightly to strip out the loose undercoat and take care of knots and tangles. Shelties are the 6th most intelligent dog breed in the world. They're also the most intelligent of all small dog breeds. They can learn new commands in as little as five repetitions, and very good at performing tricks and agility. Most Shelties are natural watchdogs. Their working dog history on the Shetland Islands of Scotland means they were selectively bred for traits like attentiveness, submissiveness, and alarm barking. These traits remain strong today. Many Shelties are vocal dogs. Besides their strong desire to alarm bark when visitors approach the house, they also communicate with their owners through a variety of hilarious noises not often seen in other dog breeds. Shelties have a wonderful temperament. They're loving, loyal, sensitive, affectionate dogs. While every Sheltie has his own individual personality, bred into their temperament is a sweetness you'll recognize straight away in any Sheltie. All Shelties need to run outside every day. Like many dogs, they need at least 30-60 minutes of outdoor exercise a day, with opportunities to explore the environment, meet other dogs, and run off the leash. Pet Shelties should be spayed or neutered. There are significant health benefits to desexing your dog, as well as preventing males from roaming and females from having unwanted pregnancies which add to the problem of dog overpopulation. Shelties live for 12-14 years. Generally, smaller dogs have a longer life expectancy than larger dogs, and Shelties fall into the higher end of the range. Take care of your Sheltie's diet, teeth, exercise, and vaccinations to maximize his lifespan. Discover the Sheltie temperament, appearance, trainability, family tree and more. Learn how Shelties rank among other dog breeds in intelligence and discover personality traits unique to the Shetland Sheepdog breed. 222 totally adorable Sheltie pictures reveal how puppies develop in the first year of life, how Shelties shrink down in the bath, and how to photograph your fast-moving furball. Breeder listings. 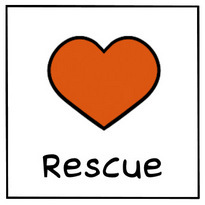 Rescue listings. The truth about pet stores with Sheltie puppies for sale. What do you need when you bring your puppy home? We've got you covered. Step-by-step guides to housetraining, teaching dog tricks, and dog obedience for beginners. Includes solutions to stop your Sheltie barking, chewing, and jumping on house guests, as well as dealing with nervous issues like fear of children and separation anxiety. Shetland Sheepdogs are generally a healthy breed, so you needn't be paranoid. However, there are some common conditions that affect herding breeds, so wise up about these. Also learn about the pros and cons of spaying or neutering your Sheltie. Taking on a new dog comes with a list of responsibilities and requirements. Here we've ranked and explained the bestselling dog products you're likely to need including food, collars, leashes, brushes, beds, feeding bowls, training pads, and pet insurance.